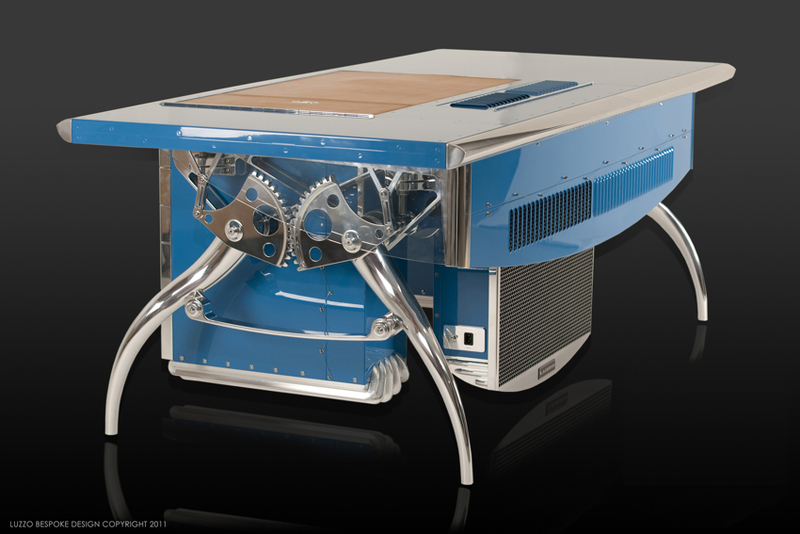 Whether you are a car fanatic or not, I am sure you will marvel at the engineering and attention to detail in this desk which is clearly a Bugatti inspired design. While visiting our friends at Bugatti Autombobiles S.A.S we had an opportunity to meet the technical design director from Luzzo Bespoke Limited, Alan Sawyer. Right before our eyes, a beautiful desk – finished in French racing blue lacquer with a tan leather writing area, which is obviously reminiscent of the iconic Bugatti’s from the 1920’s. Styling cues on the Luzzo Bespoke Bugatti desk are directly apparent from the Bugatti Grand Prix racing cars of the late 1920’s and early 1930’s. 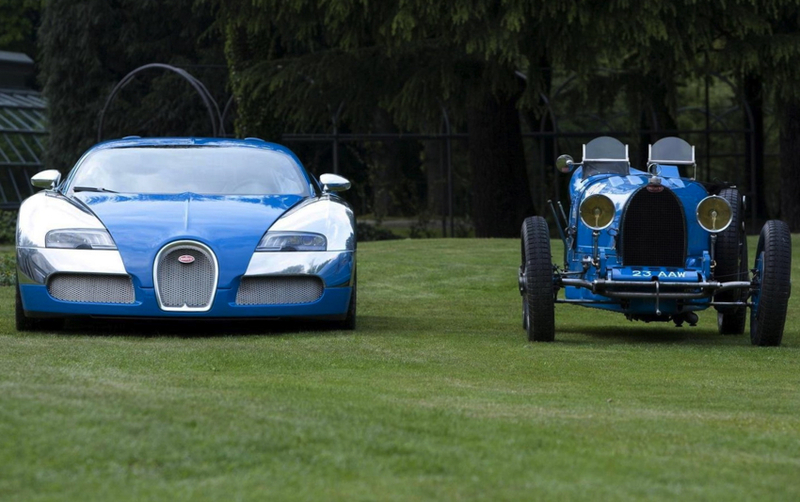 Luzzo shows details from the design of the Bugatti cars and has used them in different forms or scales within the design. For example, the drive gears for the height adjustment are a scaled up version of the Winfield carburetor synchronisation quadrants from a Type 57 and the drawer fronts reflect the honeycombed grill. 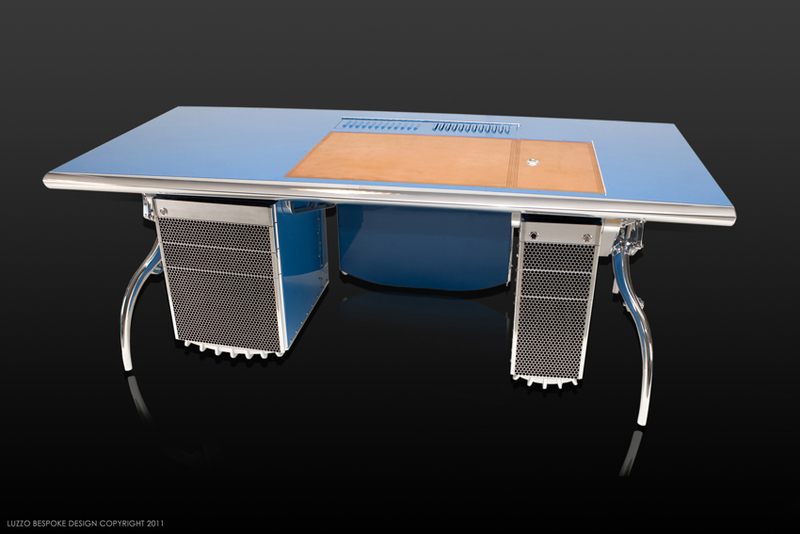 The construction of the desk itself is influenced by the methods used by Bugatti during this period. Where there would have been cast aluminium parts they have machined them from billet with the rest of the construction made up of aluminium frames clad in riveted aluminium sheet. The level of detail which they incorporated into the desk is the product of over 3000 total hours. 1000 hours were spent on engineering, design and programming CNC machines; then 2000 hours machining, polishing, sheet metal work and lacquering by Luzzo’s highly skilled workforce. 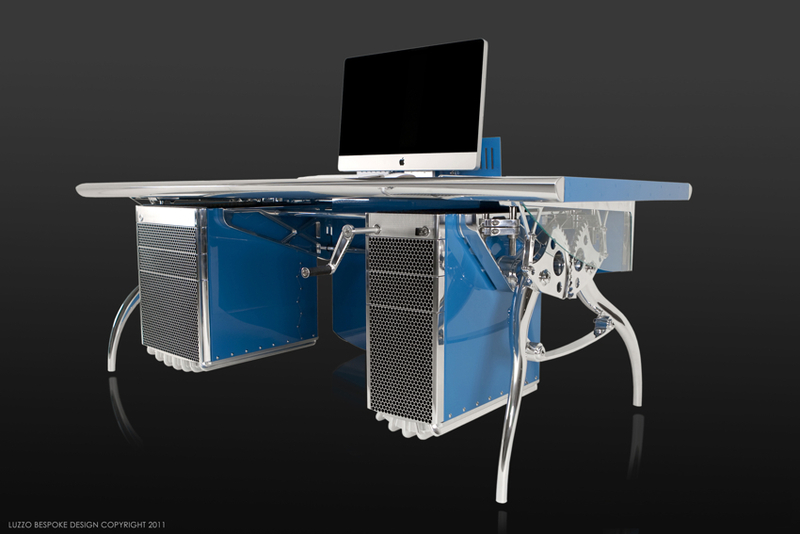 In addition Luzzo Bespoke have included a next level Apple desktop computer which is deployed via a motorized mechanism and disappears into the desk at the touch of a button. 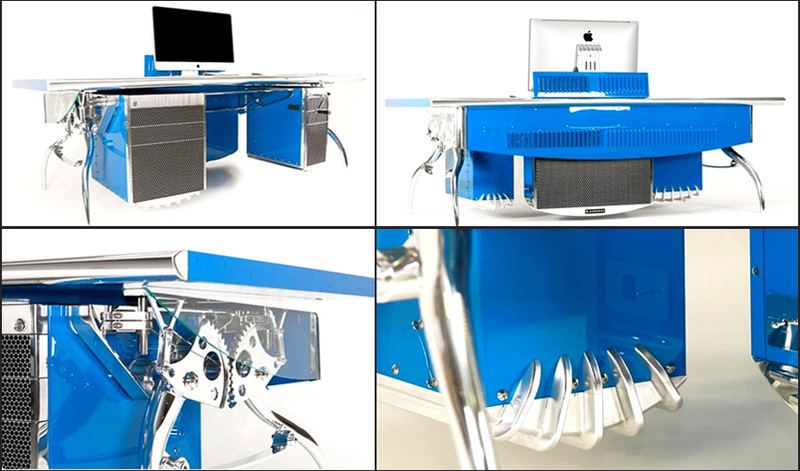 We think seeing this in person really is the proper way to appreciate the ingenuity and fervor of a desk like this. It is timeless yet modern. And so… what is the price of one of these? Let’s just say it’s 4 times more than my parents’ first house, yet worth every penny.